On Thursday, November 30, 2017 Acquisio was thrilled to take part in Main Street ROI’s Master Your Marketing Webinar Series. Alongside major martech providers like SpyFu and Convirza, Acquisio was the most recent presenter in the series, followed by Optmyzr in December (you won’t want to miss it!). 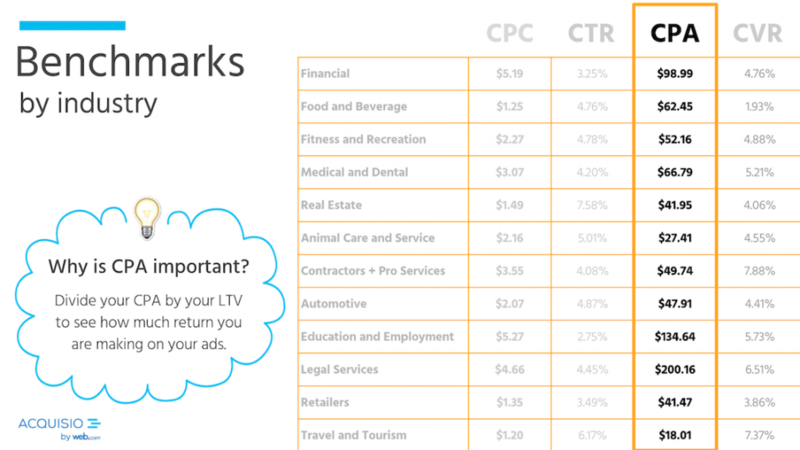 Our webinar focused on PPC benchmarks, broken down by industry. 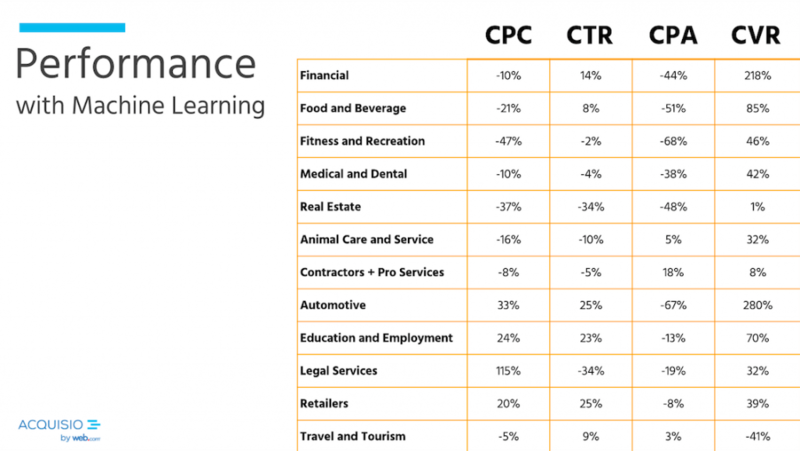 With the help of our research team, we analyzed a plethora of data from 50,000 campaigns to determine the optimal PPC benchmarks by industry, both with and without machine learning. Using this data as a foundation, questions like, ‘where do I stand in my PPC performance compared to the rest of my industry?’ and, ‘how can machine learning help me take my performance to the next level?’ were answered by Beth Thouin, VP Marketing and Tamas Frajka, Lead Research Scientist. Knowing where you stand compared to others in your industry is vital information to help shape your PPC strategy. However, Google keeps their data close to the vest and doesn’t actively publish these types of benchmarks. So we wanted to do our own study to compare our 11,000 accounts and provide this type of data to the SEM industry. We’ll be publishing all of our benchmarks from the data on our blog in early 2018 so stay tuned for these, we can’t wait! We wanted to thank everyone for attending the webinar and wrap up any questions you wonderful attendees shared with us. Those questions opened up a thoughtful discussion, and we thought it would be a good idea to share them with you here for future reference! 1 Could you elaborate on why Monday is the best time to advertise in retail for example? 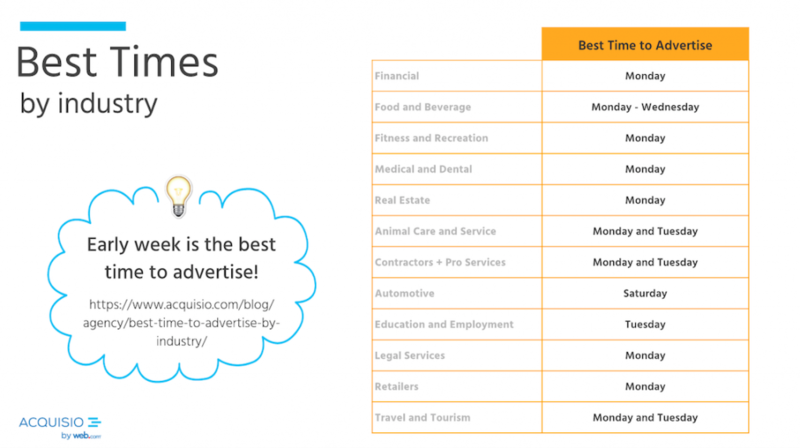 When you’re talking about the best time to advertise, advertising on Monday does not necessarily mean you will pay the least that day. The data is taking into consideration when you can get more conversions at a lower rate. Using retail as an example, it’s possible that people shopping on the weekend saw items they were interested in, but didn’t meet their needs (size, color, etc). Come Monday, they may go online to find what they couldn’t find in store. Similarly, maybe someone looked up a product online first, then went to the store only to find it was out of stock, so they return online to buy again on Monday. 2 Won’t the advantages decrease when more advertisers use machine learning? This is a great question! And the answer to that is probably yes – we’ve already seen some of that happening in the industry. Optimization technologies are exploiting inefficiencies in the market. Machine learning algorithms try to squeeze out what’s left of the budget because people don’t always know the best way to spend the budget or the best price to pay at any given time. As technology evolves and more and more people start using machine learning algorithms, it becomes even more important for us to develop, maintain and grow the tool set. And to that point, now is the best time to get involved in machine learning so that you can reap the benefits before the benchmark is raised. 3 What are some key practices beginners should know to become skilled top performers in PPC? It often comes down to bids and budgets: in terms of bids and budgets, if you’re trying to manage them on your own, it’s important to create a solid plan. We see clients that turn on optimization, but may end up paying extra for additional clicks because of competition in the market. It’s useful to know what is it that you’re really aiming for in terms of spending, leads, or other goals. Keep re-evaluating. Make sure you’re not paying too much per lead! Additionally, best practice says to test. Test a bunch of different ad text, offers, ad extensions and then measure! Run one campaign, and then look at the number of clicks, the cost per clicks, the number of conversions, and other metrics to determine the best course of action. 4 How are the quality of the clicks different with campaigns using machine learning versus those that are not? Ah, the million-dollar question! Is it better to get fewer clicks at a higher price, or more clicks at a lower price? It’s important to decide in advance how you will measure the value of a click. AdWords now offers a large variety of conversion events that you can track to help you decide the value of your clicks. That will be the key to getting better results, instead of just focusing on things like CPC. Gather the data so that you can optimize the leads instead of the clicks. 5 Is Acquisio using AdWords machine learning algorithms? No – we are using our own. The difference between AdWords and us is how we handle monthly budgets. Google has their own conversion optimization, and they will try their best to maximize your budget. But, what you will never find out is if you could have gotten better or equal performance for a smaller budget. We find the performance sweet spot for you at the lowest price. The Acquisio platform is the product in our suite designed for super-users, so there are additional features and algorithms like cross-publisher optimization, campaign cloners, and budget distribution. 6 Please clarify difference between CPC and CPA. Is Cost Per Acquisition referring to actually acquiring customer or acquiring clicks (which is identical to CPC)? 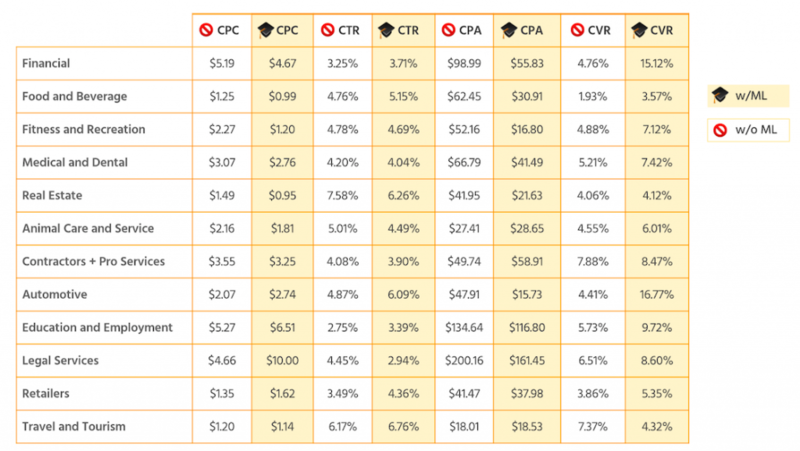 CPC is cost per click. CPA is cost per acquisition, but a click does not count as an acquisition event. Acquisition can be a purchase, a newsletter sign-up, a download of brochure, etc. – any type of conversion you (the customer) sets up inside the Acquisio platform. 7 These numbers are really, really high for median CPA…Why? The conversion/acquisition event in this dataset is what the client configures as such, and may not be an actual purchase or lead. 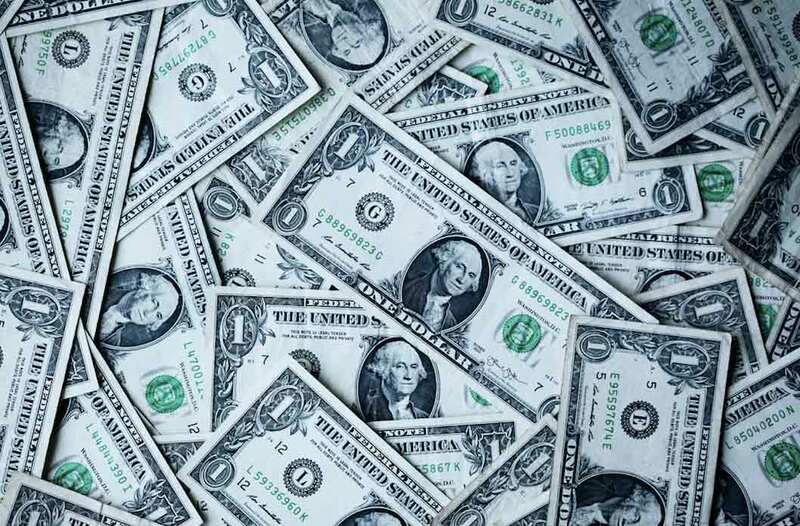 It’s important to take into consideration the lifetime customer value (aka the amount of money a customer brings you overtime) and decide if your CPA is indeed worth the investment. Most of the time, it is. 8 Does Acquisio only change spend rates, or does it alter ad text/copy/keywords, etc.? The Acquisio platform does not alter any account structure, the optimization focuses on finding the right bids and budget. The creative parts are still up to you, for now! Our Promote product does create ad text, copy and keywords automatically to help small business owners get started with digital advertising. 9 Is the Typical Campaign Ad Spend by Industry per month or per quarter? 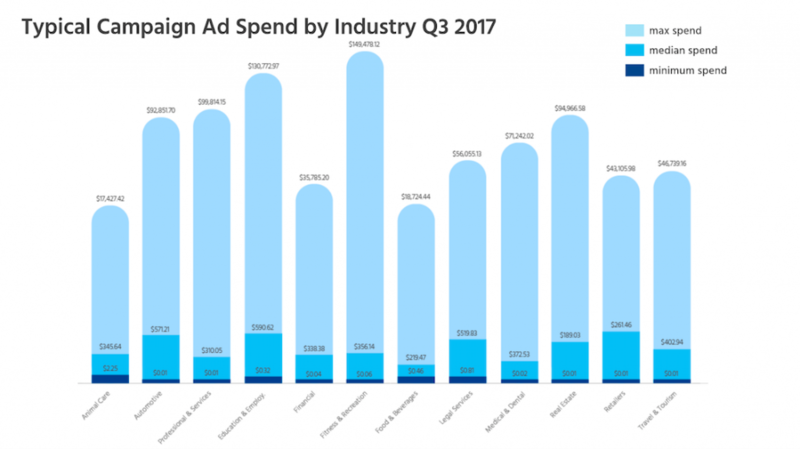 It is per quarter using the most recent dataset we have, focusing on ad spend for Q3 2017. 10 Am I correct that it takes approximately 42 clicks to convert traffic in Legal services, not using machine learning ($200.16 divided by $4.66)? You are mostly correct, it’s a good approximation. These are median values and that’s akin to taking the average of averages. 11 Are car rental agencies included in these numbers? Yes, car rental agencies fall under the Automotive industry benchmarks. 12 If my campaign average is way off from these benchmarks how can I improve? That is a loaded question! The quick answer is to start using Acquisio, and turn on Acquisio Turing™ (our suite of machine learning algorithms). 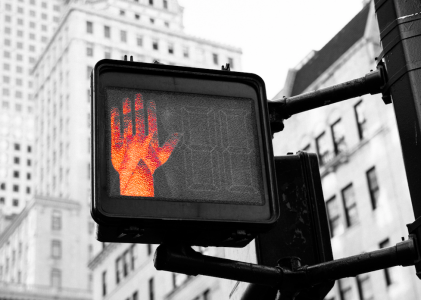 Otherwise, you would need to do an account audit to find out where things are off in the entire PPC pipeline. It depends what’s off, clicks or conversions? What market are you advertising in? Perhaps you are overpaying for clicks in average position 1 or 2, which is expensive and may not get the optimal return on investment. There are potentially a number of reasons why your campaigns may be different than the benchmarks provided. 13 How does CVR go up with Machine Learning? If you’re optimizing for conversions, the number of conversions you achieve for a given budget is what matters most. Clicks determine the cost, and the only way to increase conversions for the same total spend is to try to buy clicks that are more likely to convert. 14 You need to subtract the cost of doing business when calculating ROI based on CPA. How does that impact these numbers? To do proper ROI, yes the cost of business can be factored in, and you also need to know the return. These figures only show how much it costs to secure a click or conversion. In order to find out the ROI, you need to track the associated revenue with each event/campaign and that information is typically not available to us. 15 Will the recording be available afterwards? Yes it is! You can rewatch the webinar anytime here on Main Street ROI’s YouTube channel. Also stay tuned as the Acquisio team will be publishing all of our benchmarks on the blog in early 2018. 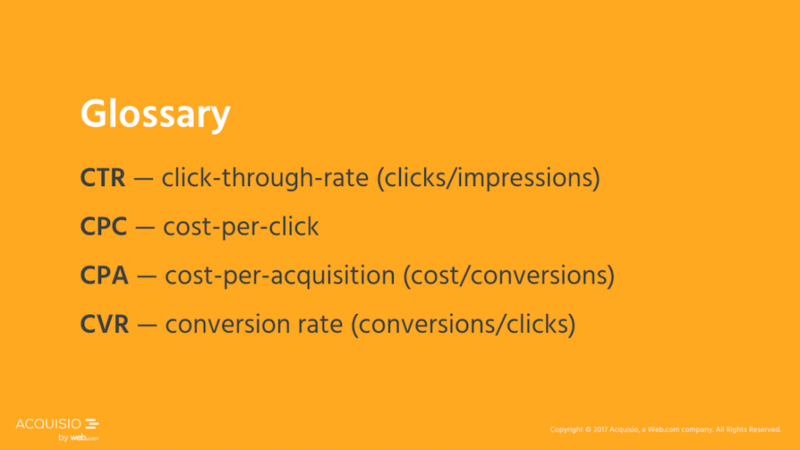 If you had another question related to our PPC benchmarks webinar, please leave it in the comments below for us!